CURATED FOR YOUR SKIN TONE. MAGNETIZED FOR LIGHT-AS-AIR LAYERING ON THE GO. A magnetized trio of longwear, light-as-air makeup sticks curated by skin tone, with two Match Stix MATTE Skinsticks to conceal and contour, and one Match Stix SHIMMER Skinstick to highlight. Valued at $75, yours for $54. With Match Stix Trios, take your complexion to the next level without the guesswork. Our pre-bundled sets make it easy to conceal, contour and highlight on repeat. These light-as-air contour, concealer, and highlighter sticks are expertly curated—and magnetize together—so you’re always ready for anything. Each set comes with two Match Stix MATTE Skinsticks (concealer stick & contour stick), and one Match Stix SHIMMER Skinstick (highlighter stick)—all of which are weightless, easy to blend, and stay put. The cream-to-powder formulas are so seamless, it’s impossible to tell where skin ends and makeup begins. They’re buildable and LIVE to be layered in a range of combos that light up all skin tones. LINEN & AMBER: TRICAPRYLIN, C12-15 ALKYL ETHYLHEXANOATE, POLYETHYLENE, POLYMETHYL METHACRYLATE, OCTYLDODECANOL, SUCROSE ACETATE ISOBUTYRATE, MICA, CERA MICROCRISTALLINA/MICROCRYSTALLINE WAX/CIRE MICROCRISTALLINE, OCTYLDODECYL NEOPENTANOATE, SILICA, POLYMETHYLSILSESQUIOXANE, CAPRYLYL GLYCOL, CETYL PEG/PPG-10/1 DIMETHICONE, VP/EICOSENE COPOLYMER, VP/HEXADECENE COPOLYMER, COCOS NUCIFERA (COCONUT) OIL, PENTAERYTHRITYL TETRA-DI-T-BUTYL HYDROXYHYDROCINNAMATE, TOCOPHERYL ACETATE, ASCORBYL PALMITATE, SODIUM HYALURONATE, TOCOPHEROL, CALCIUM SODIUM BOROSILICATE, SYNTHETIC FLUORPHLOGOPITE, CALCIUM ALUMINUM BOROSILICATE, POLYETHYLENE TEREPHTHALATE, ACRYLATES COPOLYMER, TIN OXIDE. MAY CONTAIN/PEUT CONTENIR (+/-): TITANIUM DIOXIDE (CI 77891), IRON OXIDES (CI 77491, CI 77492, CI 77499), YELLOW 6 LAKE (CI 15985), YELLOW 5 LAKE (CI 19140). STARSTRUCK: MICA, ETHYLHEXYL ISONONANOATE, OCTYLDODECANOL, POLYMETHYL METHACRYLATE, SUCROSE ACETATE ISOBUTYRATE, C20-40 ALCOHOLS, TRIBEHENIN, PARAFFIN, POLYETHYLENE, VP/EICOSENE COPOLYMER, VP/HEXADECENE COPOLYMER, DIISOSTEARYL MALATE, CERA MICROCRISTALLINA/MICROCRYSTALLINE WAX/CIRE MICROCRISTALLINE, CAPRYLYL GLYCOL, PHENOXYETHANOL, TOCOPHERYL ACETATE, HEXYLENE GLYCOL, TOCOPHEROL, ISOSTEARYL ALCOHOL, ASCORBYL PALMITATE, MALIC ACID, CALCIUM SODIUM BOROSILICATE, SYNTHETIC FLUORPHLOGOPITE, CALCIUM ALUMINUM BOROSILICATE, POLYETHYLENE TEREPHTHALATE, ACRYLATES COPOLYMER, SILICA, TIN OXIDE, IRON OXIDES (CI 77491), TITANIUM DIOXIDE (CI 77891). BAMBOO & MOCHA: TRICAPRYLIN, C12-15 ALKYL ETHYLHEXANOATE, POLYETHYLENE, POLYMETHYL METHACRYLATE, OCTYLDODECANOL, SUCROSE ACETATE ISOBUTYRATE, MICA, CERA MICROCRISTALLINA/MICROCRYSTALLINE WAX/CIRE MICROCRISTALLINE, OCTYLDODECYL NEOPENTANOATE, SILICA, POLYMETHYLSILSESQUIOXANE, CAPRYLYL GLYCOL, CETYL PEG/PPG-10/1 DIMETHICONE, VP/EICOSENE COPOLYMER, VP/HEXADECENE COPOLYMER, COCOS NUCIFERA (COCONUT) OIL, PENTAERYTHRITYL TETRA-DI-T-BUTYL HYDROXYHYDROCINNAMATE, TOCOPHERYL ACETATE, ASCORBYL PALMITATE, SODIUM HYALURONATE, TOCOPHEROL, CALCIUM SODIUM BOROSILICATE, SYNTHETIC FLUORPHLOGOPITE, CALCIUM ALUMINUM BOROSILICATE, POLYETHYLENE TEREPHTHALATE, ACRYLATES COPOLYMER, TIN OXIDE. MAY CONTAIN/PEUT CONTENIR (+/-): TITANIUM DIOXIDE (CI 77891), IRON OXIDES (CI 77491, CI 77492, CI 77499), YELLOW 6 LAKE (CI 15985), YELLOW 5 LAKE (CI 19140). TRIPPIN: ETHYLHEXYL ISONONANOATE, MICA, OCTYLDODECANOL, POLYMETHYL METHACRYLATE, SUCROSE ACETATE ISOBUTYRATE, C20-40 ALCOHOLS, TRIBEHENIN, PARAFFIN, POLYETHYLENE, VP/EICOSENE COPOLYMER, VP/HEXADECENE COPOLYMER, DIISOSTEARYL MALATE, CERA MICROCRISTALLINA/MICROCRYSTALLINE WAX/CIRE MICROCRISTALLINE, CAPRYLYL GLYCOL, PHENOXYETHANOL, TOCOPHERYL ACETATE, HEXYLENE GLYCOL, TOCOPHEROL, ISOSTEARYL ALCOHOL, ASCORBYL PALMITATE, MALIC ACID, CALCIUM SODIUM BOROSILICATE, SYNTHETIC FLUORPHLOGOPITE, CALCIUM ALUMINUM BOROSILICATE, POLYETHYLENE TEREPHTHALATE, ACRYLATES COPOLYMER, SILICA, TIN OXIDE, TITANIUM DIOXIDE (CI 77891), IRON OXIDES (CI 77491), RED 7 LAKE (CI 15850), YELLOW 6 LAKE (CI 15985), CARMINE (CI 75470). CARAMEL & TRUFFLE: TRICAPRYLIN, C12-15 ALKYL ETHYLHEXANOATE, POLYETHYLENE, POLYMETHYL METHACRYLATE, OCTYLDODECANOL, SUCROSE ACETATE ISOBUTYRATE, MICA, CERA MICROCRISTALLINA/MICROCRYSTALLINE WAX/CIRE MICROCRISTALLINE, OCTYLDODECYL NEOPENTANOATE, SILICA, POLYMETHYLSILSESQUIOXANE, CAPRYLYL GLYCOL, CETYL PEG/PPG-10/1 DIMETHICONE, VP/EICOSENE COPOLYMER, VP/HEXADECENE COPOLYMER, COCOS NUCIFERA (COCONUT) OIL, PENTAERYTHRITYL TETRA-DI-T-BUTYL HYDROXYHYDROCINNAMATE, TOCOPHERYL ACETATE, ASCORBYL PALMITATE, SODIUM HYALURONATE, TOCOPHEROL, CALCIUM SODIUM BOROSILICATE, SYNTHETIC FLUORPHLOGOPITE, CALCIUM ALUMINUM BOROSILICATE, POLYETHYLENE TEREPHTHALATE, ACRYLATES COPOLYMER, TIN OXIDE. MAY CONTAIN/PEUT CONTENIR (+/-): TITANIUM DIOXIDE (CI 77891), IRON OXIDES (CI 77491, CI 77492, CI 77499), YELLOW 6 LAKE (CI 15985), YELLOW 5 LAKE (CI 19140). RUM: MICA, ETHYLHEXYL ISONONANOATE, OCTYLDODECANOL, POLYMETHYL METHACRYLATE, SUCROSE ACETATE ISOBUTYRATE, C20-40 ALCOHOLS, TRIBEHENIN, PARAFFIN, POLYETHYLENE, VP/EICOSENE COPOLYMER, VP/HEXADECENE COPOLYMER, DIISOSTEARYL MALATE, CERA MICROCRISTALLINA/MICROCRYSTALLINE WAX/CIRE MICROCRISTALLINE, CAPRYLYL GLYCOL, PHENOXYETHANOL, TOCOPHERYL ACETATE, HEXYLENE GLYCOL, TOCOPHEROL, ISOSTEARYL ALCOHOL, ASCORBYL PALMITATE, MALIC ACID, CALCIUM SODIUM BOROSILICATE, SYNTHETIC FLUORPHLOGOPITE, CALCIUM ALUMINUM BOROSILICATE, POLYETHYLENE TEREPHTHALATE, ACRYLATES COPOLYMER, SILICA, TIN OXIDE, IRON OXIDES (CI 77491, CI 77499), TITANIUM DIOXIDE (CI 77891). SUEDE & ESPRESSO: TRICAPRYLIN, C12-15 ALKYL ETHYLHEXANOATE, POLYETHYLENE, POLYMETHYL METHACRYLATE, OCTYLDODECANOL, SUCROSE ACETATE ISOBUTYRATE, MICA, CERA MICROCRISTALLINA/MICROCRYSTALLINE WAX/CIRE MICROCRISTALLINE, OCTYLDODECYL NEOPENTANOATE, SILICA, POLYMETHYLSILSESQUIOXANE, CAPRYLYL GLYCOL, CETYL PEG/PPG-10/1 DIMETHICONE, VP/EICOSENE COPOLYMER, VP/HEXADECENE COPOLYMER, COCOS NUCIFERA (COCONUT) OIL, PENTAERYTHRITYL TETRA-DI-T-BUTYL HYDROXYHYDROCINNAMATE, TOCOPHERYL ACETATE, ASCORBYL PALMITATE, SODIUM HYALURONATE, TOCOPHEROL, CALCIUM SODIUM BOROSILICATE, SYNTHETIC FLUORPHLOGOPITE, CALCIUM ALUMINUM BOROSILICATE, POLYETHYLENE TEREPHTHALATE, ACRYLATES COPOLYMER, TIN OXIDE. MAY CONTAIN/PEUT CONTENIR (+/-): TITANIUM DIOXIDE (CI 77891), IRON OXIDES (CI 77491, CI 77492, CI 77499), YELLOW 6 LAKE (CI 15985), YELLOW 5 LAKE (CI 19140). SINAMON: MICA, ETHYLHEXYL ISONONANOATE, OCTYLDODECANOL, POLYMETHYL METHACRYLATE, SUCROSE ACETATE ISOBUTYRATE, C20-40 ALCOHOLS, PARAFFIN, TRIBEHENIN, POLYETHYLENE, VP/EICOSENE COPOLYMER, VP/HEXADECENE COPOLYMER, DIISOSTEARYL MALATE, CERA MICROCRISTALLINA/MICROCRYSTALLINE WAX/CIRE MICROCRISTALLINE, CAPRYLYL GLYCOL, PHENOXYETHANOL, TOCOPHERYL ACETATE, HEXYLENE GLYCOL, TOCOPHEROL, ISOSTEARYL ALCOHOL, ASCORBYL PALMITATE, MALIC ACID, CALCIUM SODIUM BOROSILICATE, SYNTHETIC FLUORPHLOGOPITE, CALCIUM ALUMINUM BOROSILICATE, POLYETHYLENE TEREPHTHALATE, ACRYLATES COPOLYMER, SILICA, TIN OXIDE, IRON OXIDES (CI 77491, CI 77499), TITANIUM DIOXIDE (CI 77891). Swipe Match Stix Trio onto skin and blend. For the ultimate blending on the fly, pair with Portable Contour & Concealer Brush 150 and Portable Highlighter Brush 140. 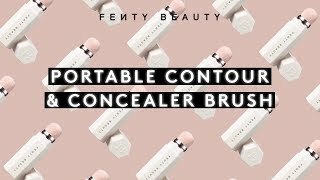 Looking to highlight and contour with concealer? Match Stix Trio is perfect for this technique. Use the lighter Matte Skinstick shade under eyes, on the center of the forehead, down the bridge of your nose, and chin. Use the deeper Matte Skinstick shade to contour. Layer the Shimmer Skinstick shade over cheekbones, brow bone, Cupid's bow - anywhere else you want extra glow. Match Stix Trio is rated 4.6 out of 5 by 351. Rated 4 out of 5 by Trai from The Highlight First of all I don't care if Rhianna is listening to my writing!! Doez that make sense? No! So go in and do it again. Second I like what the highlighter one does to my Amazing cheekbones. Rated 5 out of 5 by misstea from did NOT disappoint! I was recommended by a friend to purchase these. I was hesitant, because I am no makeup expert. The Match Stix Trio makes it easy though. I didn't have to pick from 5,000 colors and they blend easily and seamlessly. I was so impressed and love them!!! 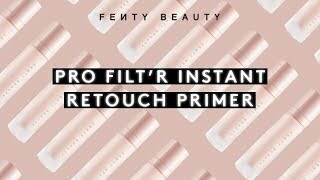 Rated 5 out of 5 by Justnaudia from Awesome Products I’ve always visit Fentybeauty.com to review the products but never bought anything.....so I finally did recently and I’m very satisfied!!!! Rated 4 out of 5 by cricketer15 from Perfect, for some The sticks, while having a nice formula and relatively universal concealer shade (in the medium tri), the contour shade is quite dark, though still with a nice formula. The sticks are on the dry side, but I found they still were quite effective. I liked the highlighter, though found it far nicer as an eyeshadow, and not overly easy to blend, or that flattering on my particular skin tone as a highlighter shade, is definitely an option for a blush shade though. Rated 5 out of 5 by Lunay from So easy to use! It’s so easy to use and travel with. So easy to blend with and you can use it for everything. I love using it as shadow too. it’s easy to pick the right trio for your shade. Rated 5 out of 5 by dearevette77 from Match Stix Madness Perfect beauty staple. Conceal. Contour. Highlight. And the magnetic feature is absolutely totally convenient. No misplacing an item or getting lost in the bottom of the bag. Rated 5 out of 5 by Arijos from Awesome contour stick I bought this about a month ago, I bought the trio and love them all!!! 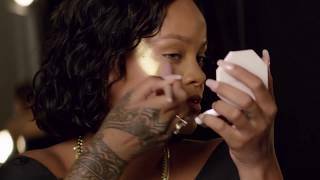 I think I’m addicted to Fenty Beauty now, the colors are just beautiful, last a long time and go well with my skin color!! I’m in love!! !